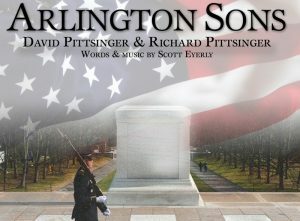 It is with great honor that the Ivoryton Playhouse presents Arlington Sons to be performed by David Pittsinger and his son, Richard Pittsinger. Lyrics by Scott Eyerly. This moving piece was personally commissioned by David to honor his late father – a US Army veteran and distinguished guard at Arlington National Cemetery. Lyrical and expressive, Arlington Sons tells the story of a father bringing his young son to Arlington National Cemetery for the first time, to witness the changing of the guard at the Tomb of the Unknown Soldier. Arlington Sons illuminates a universal experience—the changing of the guard between generations—in a uniquely American context. 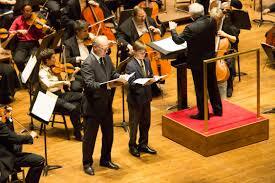 Performance will include other patriotic songs and memorial readings as a tribute within the concert. Tickets are $50 all ages. Buy one, and buy one for a Veteran. In addition to tickets purchased for Veterans, the Playhouse is donating 50 free tickets for Veterans. Help us match this donation and say “thank you” by purchasing a ticket for a Vet.